Program Goals: ​This program ultimately aims at improving the health of rural children as well as their educational opportunities. In the metrics we track, we monitor the number of children who benefit from the service. In 2012, an external epidemiological study was also conducted to measure the correlation between the consumption of safe water and absenteeism at school. Attendance at school was measured and compared between 8 schools: 4 benefitting from the Water in School program and 4 regular ones. The study found a systematic drop in absentee rates between 55 and 75% for schools participating in the program. 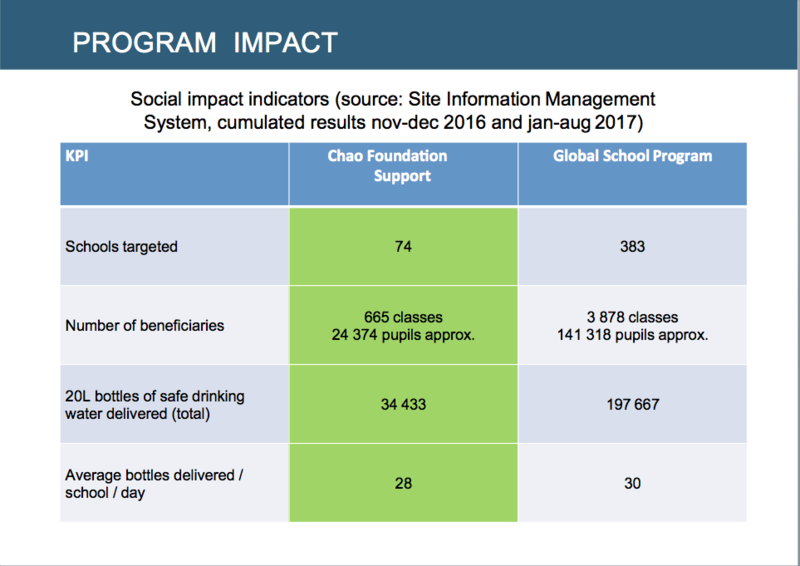 The key findings – though not concluding as to a similar reduction in diarrheal diseases – suggest that the improved hydration led to an improved school experience explaining children’s greater interest to attend class3. This is what has inspired our theory of change. Description: According to a recent estimate shared by UNICEF, 40% of the primary schools in Cambodia still don’t have access to safe water and sanitation facilities. 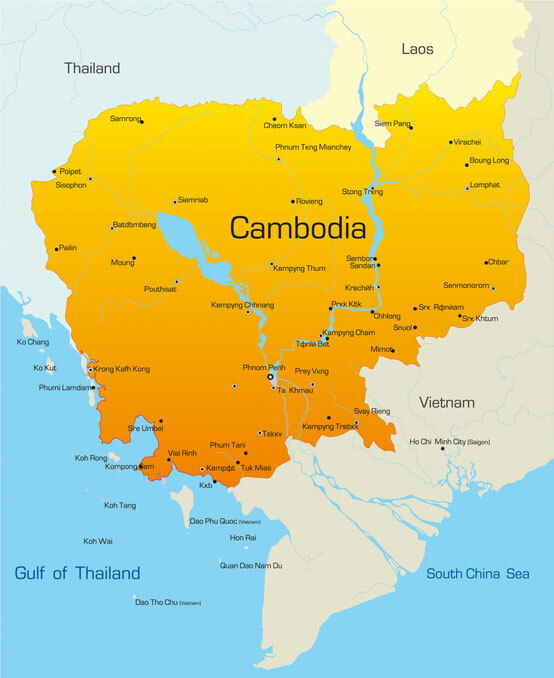 Diarrhea, generally caused by the consumption of faeces-contaminated water, is the second leading cause of death for children under five in Cambodia, while vitamin and mineral deficiencies due to diarrhea results in an annual loss of US$146 million to Cambodia’s GDP. If the Sustainable Development Goals in terms of WASH (Water, Sanitation and Hygiene) at School were to be met, the benefits would be substantial. A significant reduction in waterborne diseases and child mortality would be expected. According to recent research, safe water at school could also combat dehydration, improving cognition and energy levels directly impacting children’s wellbeing and learning experience1. Recognizing the pressing need to focus on safe water at school is therefore not only about guaranteeing access to basic rights but also about creating a favorable environment for these children to thrive and unlock their full potential.